I HAVE PRINTED A BOOK WITH PICTURES AND SOME HISTORICAL FACTS AND ALSO SOME PERSONAL STORIES SIMILAR TO THE WEB SITE THAT WE KNOW AND LOVE AND HAVE PUT IT TOGETHER IN A BOOK. IT HAS 166 PAGES AND 95% OF THE PICTURES ARE COLOR. 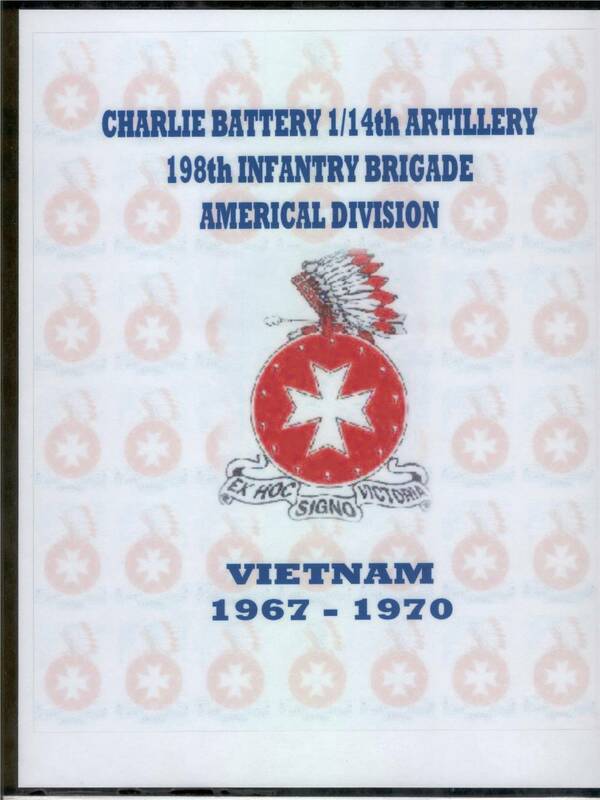 IT COVERES FROM 1967-1970 OF CHARLIE BATTERY. ANOTHER REASON I PRINTED IT WAS BECAUSE THERE ARE QUITE A FEW GUYS WHO DO NOT HAVE A COMPUTER AND I KNOW THAT THEY WOULD LIKE TO HAVE SOMETHING LIKE THIS TO REMEMBER AND SHOW THEIR FAMILIES AND FRIENDS OF THOSE DAYS IN VIETNAM. THE COST OF THE BOOK IS $33.00 WHICH COVERS POSTAGE AND EVERYTHING. IF YOU WANT TO ORDER A BOOK, CONTACT ME. MAKE CHECKS OUT TO CLARENCE MARRS. SEND THEM TO MY ADDRESS. We no longer are able to get the Charlie Battery Jackets. With the loss of Terry Fisher we will have to find another supplier. The 14th Field Artillery Regiment Assoc. has several different items for sale.